The reasons to work at Winona Health are as unique as the people who do. Here you’ll find the challenges you seek, in the settings you prefer. Employees also appreciate that we are a community based not-for-profit system. Providers must go through a credentialing process before they are allowed to work. This credentialing process is done at both the hospital/facility level as well as through the various health plans. The hospitals and health plans verify medical schooling, residency training, medical references, state licensure, DEA certification, liability insurance coverage, malpractice history, hospital affiliations, practice history, military experience, faculty appointments and the National Practitioner Databank. Verification of this information is through primary sources; therefore, it may take up to three months or longer to complete this process. To facilitate the credentialing process, we recommend that you apply for a temporary state license. This allows you to obtain the license with in 4-6 weeks. You are then able to use your license number to complete your credentialing paperwork so that the credentialing process can start. From this point forward it takes approximately three months to complete credentialing. 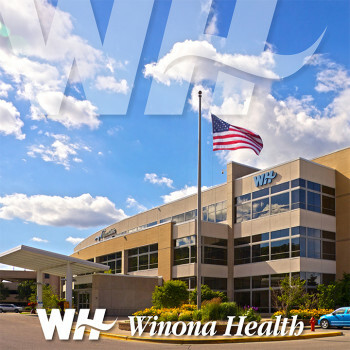 Explore the links below to learn about the community and why healthcare providers are choosing Winona Health.